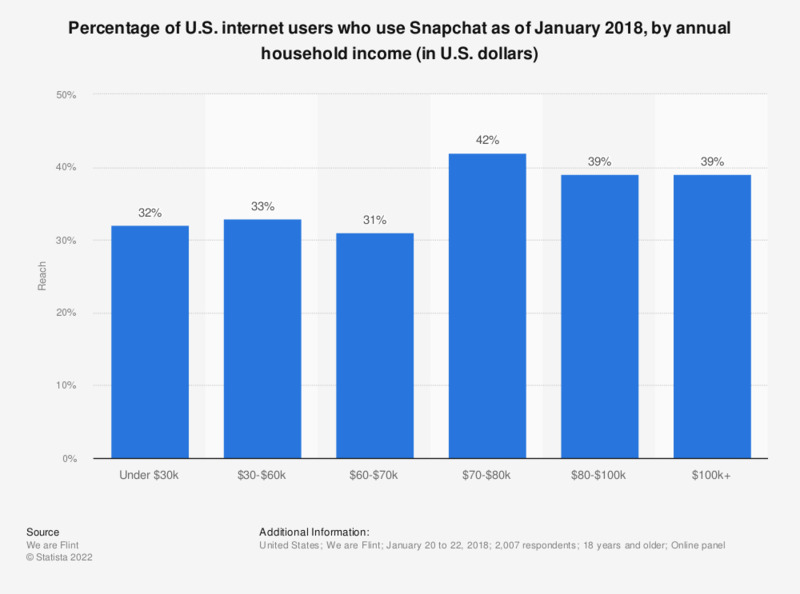 This statistic shows the share of internet users in the United States who were using Snapchat as of January 2018, sorted by annual household income. We Are Flint found that 42 percent of internet users who had an income range of 70,000 to 80,000 U.S. dollars used the social media platform. Do you think that on their social media profile, other people make themselves look happier, more attractive and more successful than they really are?